MAKING HISTORY- The Story of Christ’s College and the World 1857-2007 was created to mark the end of the 150th year of Christ’s College, a school in North London which counts everyone from the Saatchi Brothers to Harvey Goldsmith, from the Chief Rabbi to the chief political correspondent for the BBC among its alumni. In May 2007, headmaster Gary Tucker contacted Benet Catty- who attended the school in the 1990s- to ask him if he’d consider creating some kind of stage event. Benet suggesting writing something linking the story of the school with some of the key events in the world, where possible using verbatim testimony from the school’s vast archive. Benet started working through documents, testimonies and interviews related to the school’s existence in November and by February was ready to begin casting. The final production had a 36-strong cast of students aged 11 to 18 and interspersed verbatim testimony with imagined dialogue based on true events. It also included a highly complex multi-media ingredient, featuring images and specially-created videos which showed the world as it was, plus elaborate lighting and sound designs. Popular scenes included a scene enacting the school’s history of corporal punishment as a dance sequence; a restaging of the debate that took place in the 70s about the school becoming comprehensive; and a recreation of the celebrations of the end of World War Two. The characters ranged from former headmasters and students to Martin Luther King, Elvis Presley, Harold Macmillan, Winston Churchill, Margaret Thatcher, Teddy Rosevelt and the Wright Brothers. Given the vast complexity of the production, what Benet always referred to as a “professional production with non-professional actors” as opposed to a ‘school production’, and given the current school’s lack of a drama tradition in the last few years, it is not surprising that the success of the production was achieved with gigantic effort and difficulty. 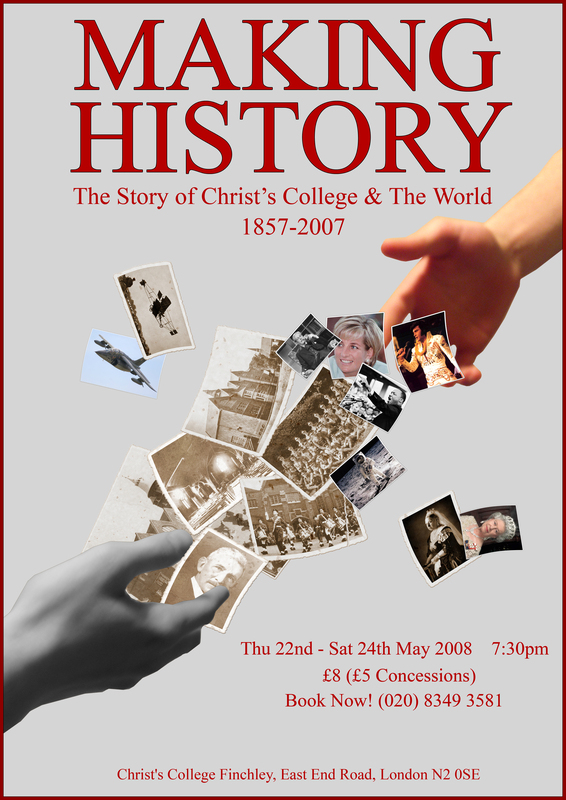 But nobody could deny the ambition and professionalism of the event, far in excess of anything the school had ever conceived in its history, and so it was a credit to the daring of the headmaster and the efforts of those involved that the final show ended up being triumphantly received.